Lowest price home in El Segundo! 2+1.5 bath condo. Located in the Pacific Sands complex overlooking a huge swimming pool, spa and gym with views of the ocean and sunsets from the upstairs bedroom. Two story townhouse with sunny living room, dining area, kitchen and 1/2 bath on the first level. Bedrooms upstairs with Jack & Jill bathroom. Large mirrored closets and storage in gated carport. Triple pane sliding doors and double pane windows. The complex recently upgraded all main plumbing lines and the seller has recently installed new copper plumbing and painted the unit. The city will soon reopen a park just blocks away. 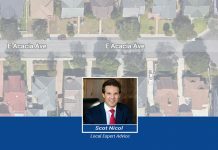 A rare & wonderful opportunity to own in friendly El Segundo (known as “Little Mayberry” for the warm friendly feel) with amazing award-winning Unified School District, Fire, Police, and Recs and Parks. All of this and so close to the ocean, LAX & South Bay living!